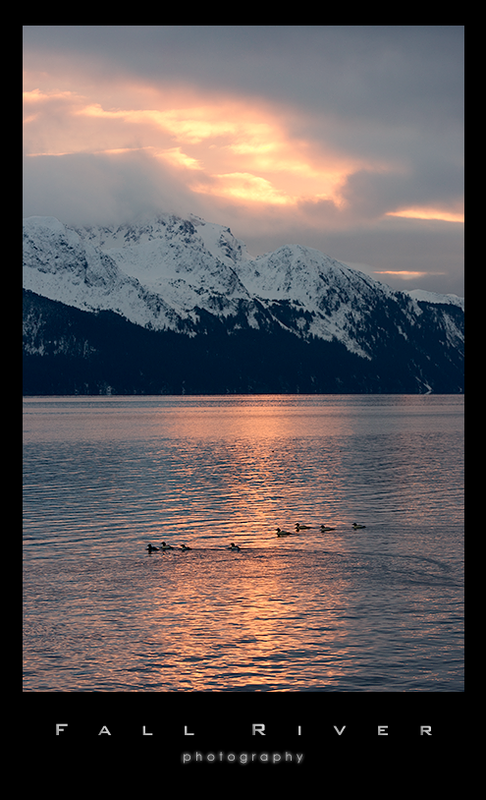 The winter sunrises in Seward are absolutely wonderful. The sun is low in the sky and the mountains catch the light just beautifully. There were several dozen mergansers out on the shore and they took to the water and complied nicely with my desire for this composition. The sea otters were playing up the shore line and there was a cormorant or two in the mix. The weather was definitely warm for Alaska standards but we get our share of warm winds that blow in and take the edge off the winter.